Hello! I’m Jasen. Or Samba, my Senegalese name. 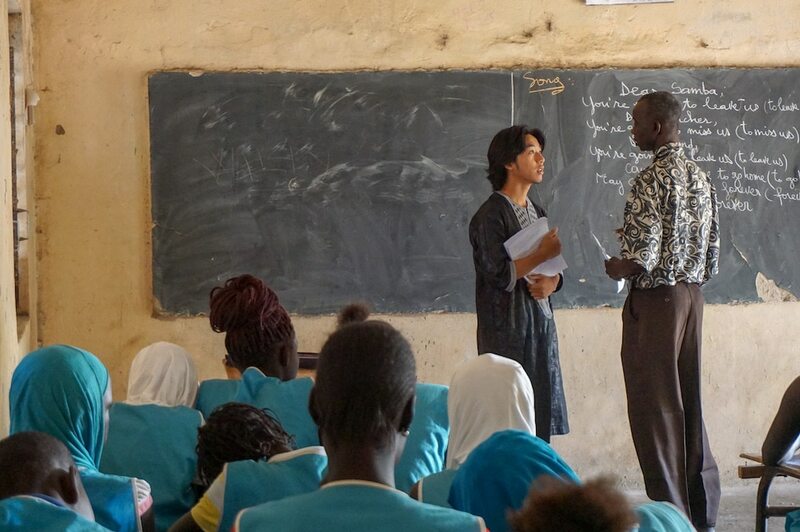 I’m from Hong Kong, and spent my Global Citizen Year in the Senegalese town of Joal-Fadiouth. I currently study at Minerva Schools at KGI in San Francisco, Seoul and Hyderabad. Take a quick glance at Samba’s life in Joal. After a quick breakfast, I bike to the local public secondary school before classes start at 8:00am. I teach two two-hour English classes a day. During recess time, I interview students and teachers for the community newspaper and help out teaching computer literacy at the computer lab. I bike home after my second lesson, a bundle of test papers and quizzes nestled in my bicycle’s basket. It’s time for lunch! We eat savory dishes like ceebu jen (rice and fish) or yassa poulet (chicken with caramelized onions) from a large communal bowl. When I finish eating, my mother would go about the daily ritual of insisting that I keep eating. Senegalese never let their guests or children leave the bowl hungry. Teranga, or hospitality, is a celebrated aspect of Senegalese culture. I take a nap after lunch to avoid the harsh early afternoon sun but depart for the workshop soon after. I’m a carpenter’s apprentice and together my boss and I create intricate or simple beds, tables and chairs. Sometimes, we’ll travel around the town for interesting jobs like repairing roofs or installing curtains. Tea culture is an important part of Senegalese social life. Senegalese love their mint tea, and kettles spouting steam can be seen brewing over tiny coal stoves everywhere, at anytime. The elaborate process in which tea is prepared is known as attaya, which involves pouring the tea from one cup to another to create a layer of sugary foam and to cool the near boiling concoction. Despite being in covered in sawdust, I head to my language tutor’s house for Wolof and French class. 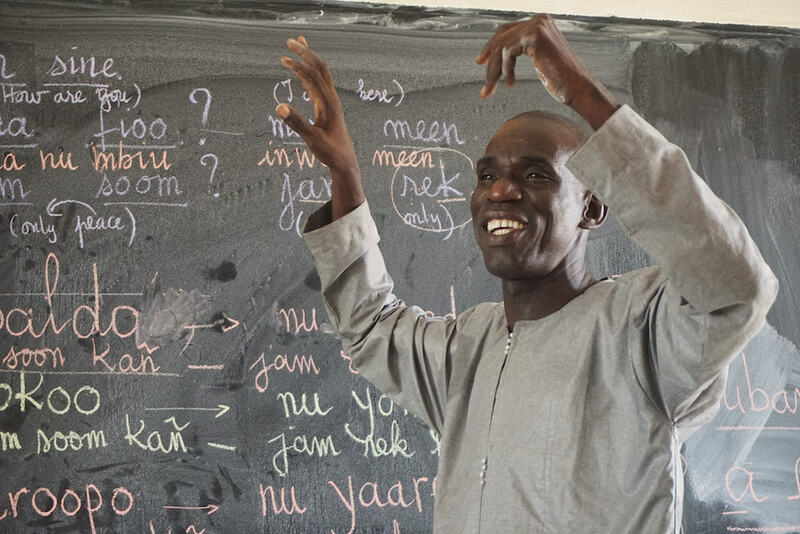 Being able to speak Wolof endears me to my community, while I need to be able to speak French to teach in school. After dinner, I hang around my home’s little courtyard, grading papers or reading French children’s books. Around this time, the neighborhood mosque blasts the call to prayer. Senegal is a majority Muslim country, and its inhabitants are devoutly religious. My host mother lays down the prayer mat for my siblings. It’s quiet. As they pray, I finish up whatever I am doing. Once they’re done, I pinch my siblings cheeks and bid my family a good night’s rest. I assist in English classes ranging from 6th grade to 12th grade. There’s never a dull moment!